To the touch, the creases are gone but the lines are still visible on surface. will they disappear? I had Volbella and Botox injections yesterday around my mouth. Swelling is going to obscure the actual results. Over a few weeks Volbella will smooth out. It's better to wait and watch over the next 2-3 months before you do any more injections of filler. Can heat dissolve Dermal Fillers? I had one of the newer fillers that helps produce collagen. Then I had a facial with a laser?It seems the filler dissolved, can this be attributable to the laser/heat? Which facial fillers are the most effective and longest lasting? I am a young 65 year old and might consider having a facial/jowl filler treatment . Which one is longest lasting and most effective? What is the average cost for one syringe? Which facial filler lasts the longest? Of all the dermal fillers on the market, which works the best? What are normal side effects after fillers? I have daily headaches after face filler and Botox on my forehead and between eyebrows this month. Why? Also, when the filler is gone will I my face be more stretched out than it would have been without the fillers? Can dermal fillers be used under the eyes to lessen the hollowness? If not, is there anything that can be used? Thank you. Are the swelling and lumps side effects of Dermal Fillers and will this go away? I had esthelis done 3 days ago, my face looks horrible and bruised, and there is lumps. 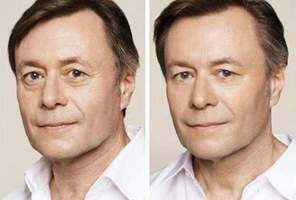 None of the wrinkles are gone or the hollowness under the eyes. Will it go away and settle? I saw no results with my Restylane treatment, what should I do? I had a dermal filler by a dermatologist (Restylane) & was very unhappy with the results. I saw no results and looked the same 3 weeks later as I did before the procedure. Maybe the doctor was not experienced not sure. Please Advise me on my options. The dermal filler maintenance treatments that I need to keep receiving to maintain my youthful look are getting expensive. Are there any permanent dermal fillers available, and what are the pros and cons of long-term dermal fillers? Should an esthetician or physician inject a dermal filler or botox? I was wondering if an esthetician is allowed to inject a dermal filler or Botox in a patient, or are these injections only administered by a Doctor? Do dermafillers dissolve after RF treatment? Hi, heard that dermafillers dissolve if you have a RF treatment over the same area. Could I have a RF treatment over an area which has already been treated with dermafillers and Botox as well? What can I do if I have lost weight in my face? Hi, I have lost volume in my face, what's the best treatment to correct my face? I lost the weight because of a car crash. I was looking at either fillers or fat transfer. What can I do if my left cheek is bigger than the right? What are possible ways to make it look the asymmetrical? Can Dermal Fillers cause skin cancer? Does injecting fillers beneath the skin raise the likelihood of developing skin cancer? Is the way the skin absorbs the material over time dangerous at all? Are any new Dermal Fillers coming out this year? Are there any dermal fillers being developed that may last longer than what is currently available? Are Dermal Fillers the best to treat lines on the forehead? Is this the best treatment for forehead wrinkels? Can I scuba dive after getting dermal fillers? I am a rather frequent diver, but would like to try dermal filler for the face. Will the mask or underwater pressure pose problems/ruin the results of the fillers? If so, how long should I wait before diving? If problems still occur, what can be done? Will repeated collagen fillers make frown lines worse? I am 48, female, and have slight frown lines. Will repeated collagen fillers make it worse? Will repeated collagen fillers loosen the elasticity of the skin forcing one after many years to do surgical face lifts? Will not having repeated collagen injections only weaken the surface layer of the skin in the long run? I am on Coumadin, can I get dermal fillers and an eyelid lift? I have the marionette lines and droopy eyelids. Previously had valve replacement and am on coumadin. I also have an arrythymia which is treated with amiodorone. Am I a canidate for any face improvement? I am 63 and young at heart.